In recent years a series of crises have erupted on the European Union's eastern borders. Russia's annexation of Crimea and the subsequent conflict in eastern Ukraine presented the EU with a major foreign policy challenge, in both Ukraine and across the other countries of the so-called Eastern Partnership. In response, the EU has begun to map its own form of 'liberal-redux geopolitics' that combines various strategic logics. 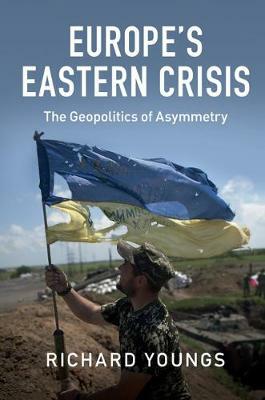 This book traces the effect of these crises on the foreign policy of the EU, examining the changes in policies towards the countries on its eastern borders, the EU's review of the Eastern Partnership, as well as the EU's relations with Russia overall. It goes on to uncover whether the EU has contained the crisis or if it has set up new conditions for more instability in the future.